Mechanical Number Pad & Calculator. Digit was created with a unique retro design with practical features. 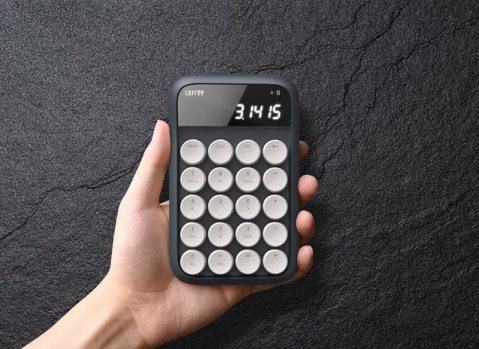 This time, we reinvented the number pad by combining it with a calculator: by swapping the mechanical switches with Bluetooth, Digit becomes the most intuitive pad to type with and is super portable. it will transform your working experience and bring a refreshing look and feel on your desk set. Digit number pad easily supports Windows, IOS and Android. with Bluetooth integrated, you can connect it wirelessly with all devices such as keyboard, pad or phone. 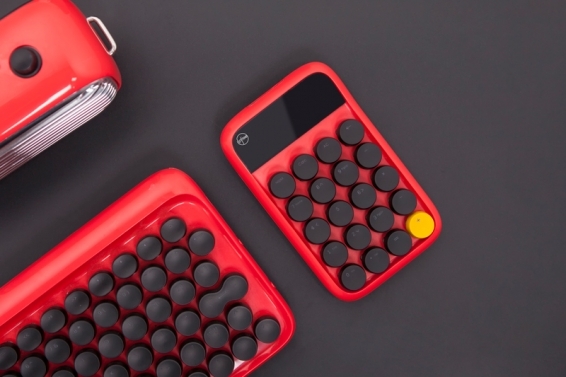 Digit only weighs 200g which is makes it easy to carry wherever you go. With its pocket size, you can use Digit anywhere, anytime with simplicity. The Digit has both beauty and brains. 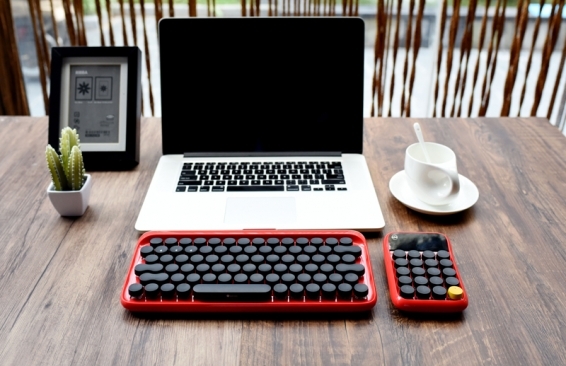 Do your calculations and type the number with the best key tactile feel. The calculator can do all the basic calculation that you need. 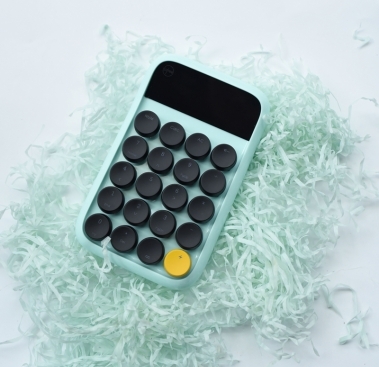 With it’s eye-catching physical features and practical functionalities, the Digit is the only calculator you’ll ever want. We dedicate ourselves to keep the most sophisticated product simple and elegant, in order to benefit and reach more people. Pushing boundaries in product design is in our company mission and we've earned several Red Dot and iF design awards to prove.